Volkswagen’s Transporter Crew Bus range came standard with five seats – two single seats in the front and a three-seater bench in the middle with folding and tipping seats. 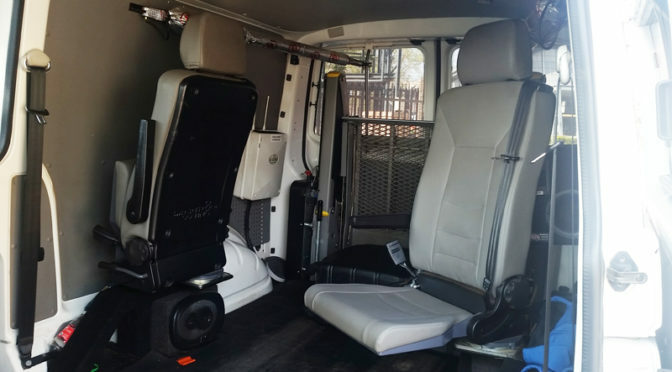 There are several options available on the Transporter Crew Bus from 5 up to 11 seats. 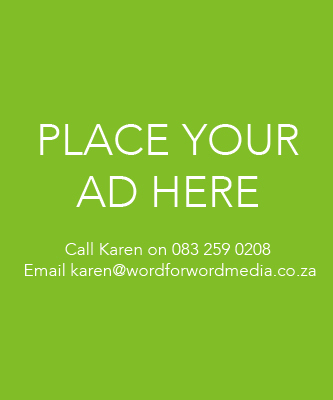 These combinations are made up through the choices of either two front seats or a 3-seater front bench, and the addition of a 3rd and/or 4th row of seats. 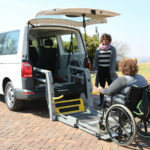 Where a specific seating requirement cannot be achieved through the range of options available through Volkswagen, the aftermarket conversion companies can supply additional versatility to accommodate the wheelchair. An example of this are the rear flip-up swivel seats, which allow access for the wheelchair. 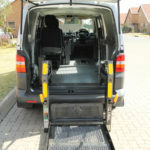 Where a wheelchair needs access via the rear of the vehicle, either for the driver or a passenger, the number of seats at the rear of the vehicle will be compromised. 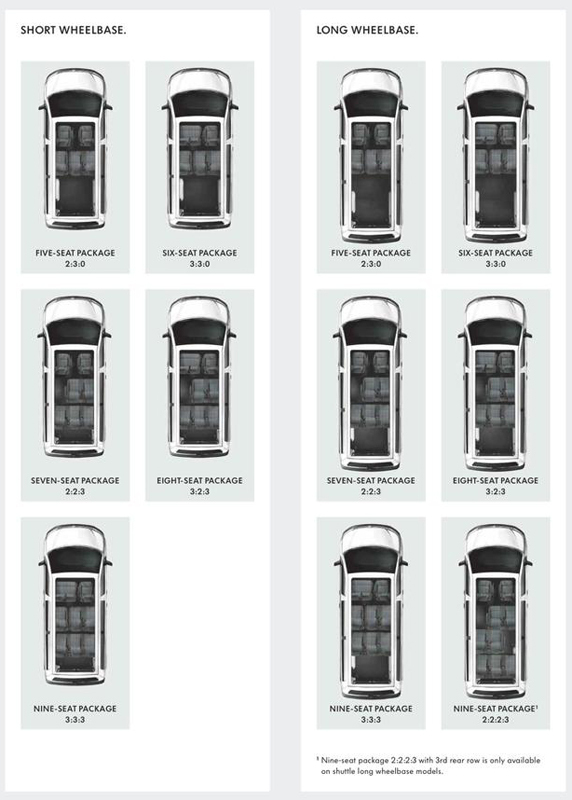 So, when planning the layout of your vehicle, the number of passengers must be carefully considered. 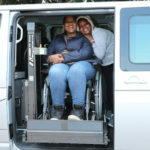 Sitting up front close to the driver allows easy communication between the driver and passenger, but this would be at the expense of passenger seats due to the additional space required to have the wheelchair up front. 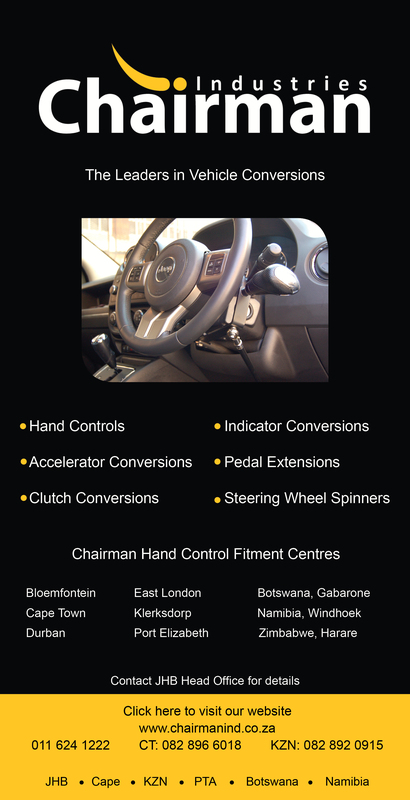 When the passenger is positioned at the rear of the vehicle, communication with the driver and other passengers becomes very difficult. 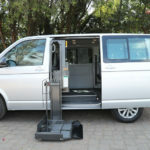 The number of seats required and the position of the wheelchair in the vehicle will affect where the lift is positioned – usually at the rear of the vehicle where the rear door aperture can accommodate larger tailgate lifts. 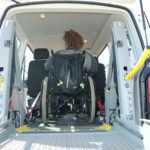 The sliding door aperture can only accommodate smaller wheelchair lifts, which are limited to compact, lightweight wheelchairs.